This 3-part series is intended to de-mystify the business sale process. In Part I, I discussed the process of identifying a buyer, the importance of a good non-disclosure agreement, and the development of a terms sheet or letter of intent. 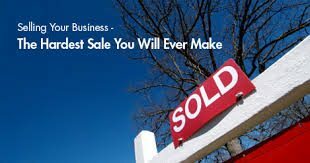 In this second installment, I will explain the 4 basic types of business sale transactions and will provide an overview of the due diligence process. The letter of intent or terms sheet will often describe the form of the proposed transaction as either a “stock sale” or an “asset sale.” Alternatively, the transaction may be structured as a “merger” or possibly as a “redemption.” We will address each of these in turn. In an asset sale, the company sells its assets and operations to either an existing company or to a company formed by a buyer for this purpose. The selling company remains an empty shell after the sale, sometimes retaining only liabilities, other times retaining accounts receivable, which it will continue to collect from customers. The selling company is often required to change its name so that the buying company can register the name with the appropriate state authority. The issue of the selling company’s liabilities is usually a subject of negotiation. The buying company may be willing to assume some of the seller’s liabilities, including contracts with certain customers or certain vendors. The seller and its legal counsel must screen existing contracts and agreements to determine whether those agreements can be transferred, or assigned, to the buyer. Most such agreements, and particularly bank loans, leases, and intellectual property licenses contain some form of restriction on transfer or an outright prohibition against assumption of by third parties without prior consent. For example, attempting to assign a bank loan without obtaining the lender’s approval is almost always an event of default, allowing the lender to “accelerate” or demand immediate payment of the note. For this reason bank debt is rarely assigned to or assumed by the buyer, and the buyer’s lawyer will ensure that such debts are paid, so that the acquired assets are not subject to the bank’s liens. If the seller is organized as a corporation, an asset sale will require the approval of the directors and a majority of the voting shareholders of the selling company. If the seller is a limited liability company, unless the operating agreement provides otherwise, a majority vote of the members is sufficient to authorize the sale of the company’s assets. 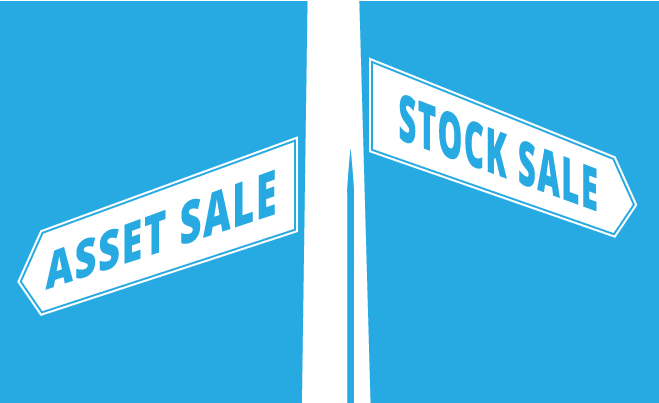 In a stock sale, all of the assets and liabilities remain with the selling company and it is the stock or the membership interests themselves that are sold to the buyer. The new buyer or buyers purchase the stock or limited liability company interests from the owners of the selling company. Even though the assets are technically not transferred from the original company, many of the contracts that the selling company has with third parties may treat a “change of control” of the company as equivalent to a prohibited assignment of a contract or assumption of debt. If so, this requires consent by the contracting party before completing the transaction. If the acquired company has more than one owner, the buyer(s) usually want all of the owners to participate in the sale. This is why many buy-sell agreements and LLC operating agreements contain so-called ‘drag-along’ provisions that require minority shareholders or LLC members to join in a sale of stock or LLC interests that has been endorsed by the majority owner(s). A redemption is a form of a stock sale whereby the company buys the shares of one of its owners. This form of transaction is often used when there are multiple owners and only one is selling. For example, the founder may own 90% of the company and the CFO may own 10%. The company can purchase the founder’s 90% stake over time and as each segment is purchased, the CFO’s percentage ownership increases until, eventually, the founder has zero and the CFO has 100%. Just as in a stock sale, many of the contracts that the company has with third parties may treat a “change of control” as equivalent to a prohibited assignment of a contract or assumption of debt. Therefore, a redemption also often requires review or consent by certain third parties prior to consummation. 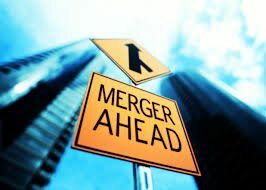 A merger is a legal procedure whereby 2 or more companies are combined, with only one of them remaining in existence after the process is completed. The merged company ceases to exist and the surviving company automatically acquires all of the assets, liabilities and operations that were owned by all of the original companies before the merger. Under both the FL business corporation law and the FL limited liability company law, a majority of the voting shares or membership interests must approve a merger. Also, as with asset sales, stock sales and redemptions, many agreements and licenses will require approval from third persons before the merger is completed. The due diligence process usually begins immediately following execution of the letter of intent or the terms sheet. “Due Diligence” is an in-depth investigation of all the things the buyer thinks it needs to know before it makes an irrevocable commitment to the deal. 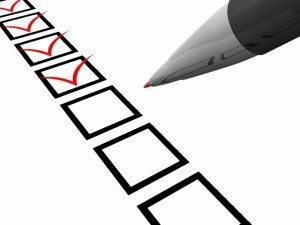 The buyer will provide the seller with a due diligence checklist which is typically very detailed and should be (but isn’t always) customized to the seller’s business. The seller will provide the buyer with information responsive to the buyer’s checklist requests, either stating the item requested is not applicable, or providing materials that are responsive. Typically, a due diligence checklist requests copies of all corporate records, significant contracts, leases, patents, trademarks, permits, and license agreements. In addition, the buyer will want to send contractors to conduct physical and environmental inspection of any real estate (owned or leased) and to inspect any important equipment. The buyer’s financial management team will request financial records and may request meetings with the seller’s accountants. The buyer’s operations team may request meetings with key employees, customers and suppliers of the seller. Sellers sometimes want to wait to disclose certain matters until they are sure the deal will go through. These may include the identity of key customers, or price and terms for their work, trade secrets, or sources of supply and purchase terms. The seller’s lawyer can usually work out procedures to make the disclosures anonymous (for example, substituting the letter ‘X’ for the name of a key customer) or delaying disclosure until everything else is in order. Ideally, the seller should work with its consultants and advisors on its business and legal due diligence materials far in advance of the actual sale. In Part I of this series we discussed the importance of using an investment banker or business broker. If they are included in the process early enough, these advisors, together with the compan y’s accountant and lawyer can “clean-up” any issues that could be problematic to a buyer. In addition, the company’s lawyer can provide the seller with a due diligence checklist of its own to help gather and organize the materials likely to be requested by a typical buyer. A business that is prepared for due diligence will find the entire process much more manageable. Prompt, thorough, and accurate responses by the seller will create a favorable impression on the buyer that the seller’s company is professionally organized and well-run. This creates goodwill on the part of the seller and raises the buyer’s confidence that this is a good deal. If the seller is unprepared and cannot provide the buyer with prompt and accurate responses to the due diligence checklist, the buyer may attempt to renegotiate the exclusivity period deadline, arguing that it will need more time. If the delays continue, the buyer may grow concerned about the viability or trustworthiness of the overall transaction, which can lead to the buyer terminating the deal. Generally speaking, it is in the seller’s interest to disclose as much as possible to move the deal along and to avoid post-closing buyer surprises that may lead to indemnification claims and purchase price claw-backs. More often than not, the seller provides its due diligence materials through an electronic “data room.” The seller can control and monitor who receives data room access. An electronic data room saves paper and reduces the amount of time the buyer’s management team needs to spend on-site at the seller’s facility. It also creates an organized electronic record of the materials that can be downloaded to a CD or flash drive for future use, such as another deal if this one fails or in the event of a post-closing buyer indemnification claim. In Part I of “Anatomy of a Business Sale,” I discussed the importance of preparing a business for sale and the process of identifying a buyer, and the development of a terms sheet or letter of intent that serves as an outline for the formal purchase documents. In this Part II, I explained the different forms that a business sale can take – asset sale, stock sale, redemption and merger. Finally, I reviewed the importance of the buyer’s “due diligence” investigation and why it is important for the seller to be prepared and to respond promptly and accurately. In Part III, I will conclude this series with an explanation of the typical provisions contained in the agreements used in all four forms of transactions and an explanation of the closing process.